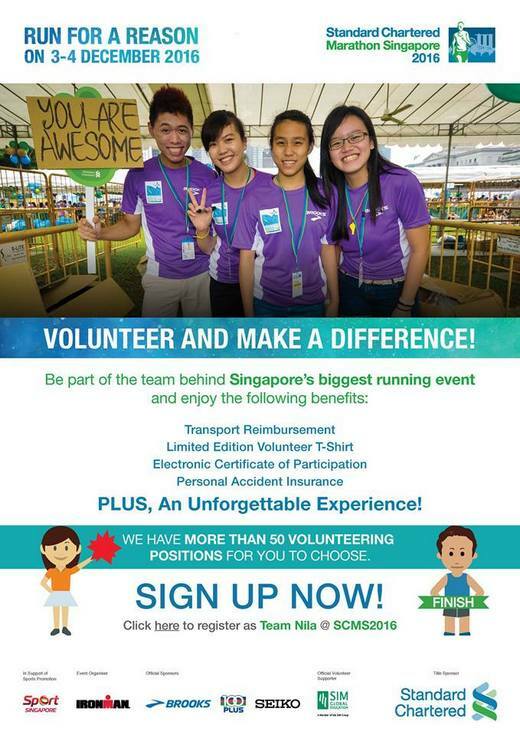 The Standard Chartered Marathon Singapore 2016 is back – where runners will run and scout the beautiful landscape of Singapore’s iconic city line. THERE ARE MORE THAN 50 VOLUNTEERING POSITIONS FOR YOU TO CHOOSE. SIGN UP NOW through the link below!